By boat to the edge of Nordlandet/Akia, the strip of land across from Nuuk. 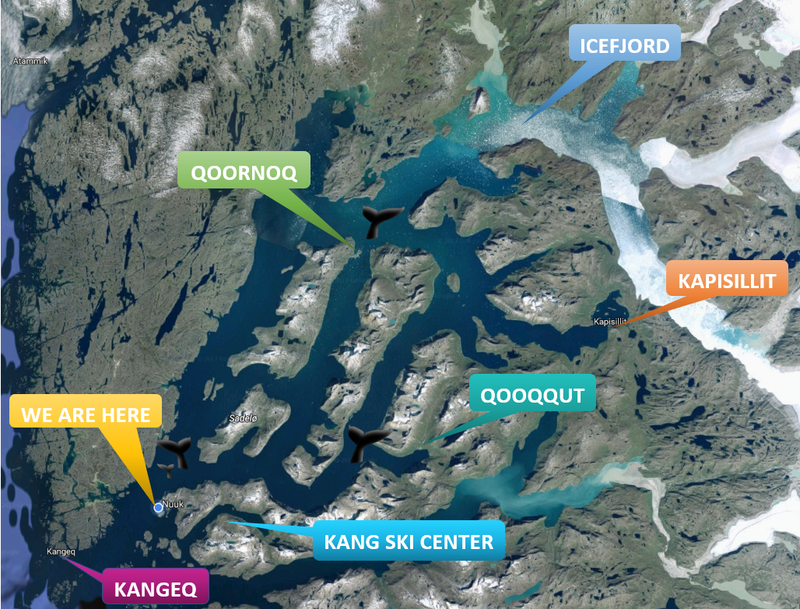 Here you find the old settlement of Kangeq, which has been unpopulated since the 1960-ies. Kangeq is the birthplace of the famous artist Aron (1822 – 1869), who painted stories from the traditional myths and legends. There will be approx. 1½ hour stay in the village. On to the neighbouring Island of Hope, where the priest Hans Egede arrived in 1721 and lived for 7 years. It is still possible to see some ruins from the house. On the islands surroundings Kangeq there are numerous eskimo ruins which tells the story about Kangeq being a central place on the old eskimo trading routes. There will be good chances of seeing seals and lots of different seabirds and if you are lucky, whales. Remember warm clothes, hat and gloves, it is cold at the sea. Bring some good waterproof shoes. Bring some lunch or snacks and soft drinks for the tour. On this tour you will be walking approx. 45 minutes on uneven ground.